Rosegal - Fashion is Attitude - Cherry Colors - Cosmetics Heaven! 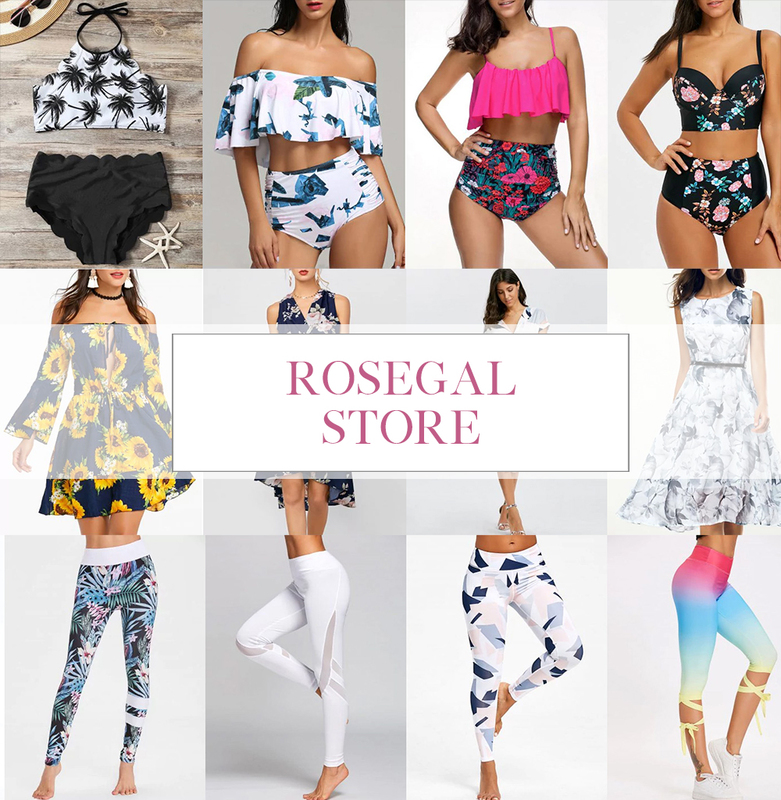 Rosegal is a new store that offers almost everything you will ever need. On Rosegal you can find your next outfit (completed with shoes and a purse! ), your swimwear, activewear and even items for your home. If you are curious, you can click and see for yourself. At Rosegal they say that fashion is attitude, fashion is a lifestyle. That sounds interesting, doesn't it? Well, since I was curious I decided to look into some of my favorite styles of clothes. Which is dresses, of course. I love dresses. I truly do. Because they are one of those pieces that make a full outfit and if you need something more to them, you just accessorize. Here are my top picks for Summer. I can see a pattern here - flowery and floating. But if you're more into darker dresses, maybe these will be to your liking? I am especially a big fan of the floral gray dress. Of course, I couldn't go past the Summer hit - Swimwear. I am currently looking for a new swimsuit and well, I had a hard time picking just four of my favorites. I was looking for something that would bring interest to the upper part of the body but not too much. I think these Flounce bikinis will be a sight to be seen on our beaches. They look really cool and bring the eye to the chest area without actually looking at it. And if you're a bigger lady you can always find some cute choices. I am a bigger lady myself especially with the sizes that run a bit small on Rosegal. Here are my top picks for plus sized ladies. I can already see myself in the first top (so pretty!) and the floral dress. Both look really comfortable! But when I said that Rosegal offers almost everything I mean that you can also get your activewear there! You have activewear in regular sizes and Plus sizes activewear. And there's plenty to choose from. Some of the plus sizes activewear is a bit insulting (sauna vest, really? ), but otherwise, they offer a great choice of sports clothing. Here you can find my top sports bra picks. Aren't they pretty? When it comes to gym leggings, there's a vast variety of styles to choose from. I am still a big fan of gradients and geometrical designs on leggings so I think that those two are my favorites from the bunch! And if that wasn't enough, you can find the perfect shirt or pants for your (boy)friend too! Check their generous offering of menswear and see for yourself. I had a hard time choosing because I don't really check what guys wear but I think the fun shirts are a nice touch to any outfit. I had a fun time windowshopping on Rosegal, now I welcome you to try it too. And maybe if you like something enough you could buy it and let me know how it went for you.